Nevertheless, I believe I imbue this baking spirit even beyond a patronymic naming system. 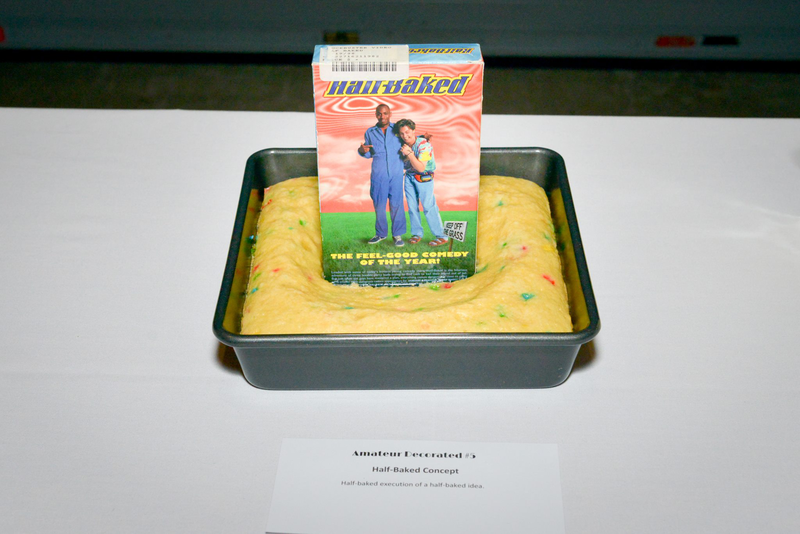 In April of 2015 in a brazen act I entered an annual cake-decorating contest held by the Pittsburgh Midwife Center as a fundraiser for its ongoing midwife crisis. Please hold your applause. 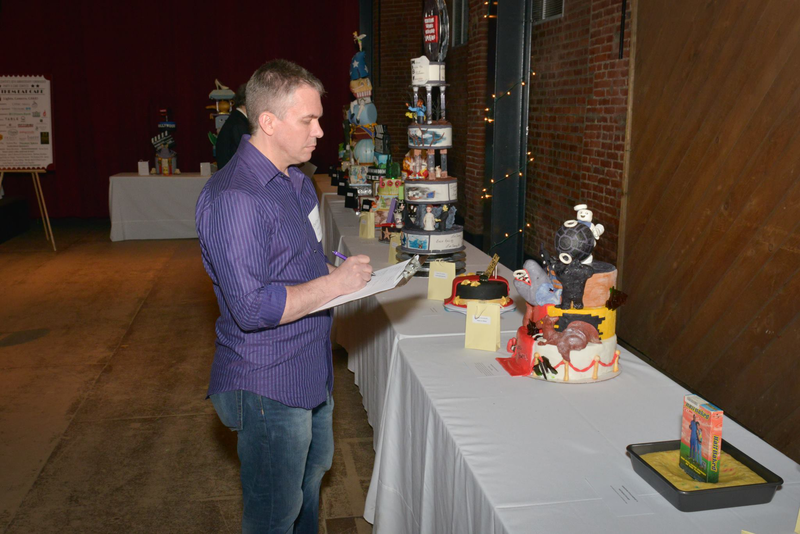 My goal, in so much as we can pinpoint and verbalize our unconscious dreams, was to have my own stupid cake displaying at this fancy event next to all the real cakes everyone worked on. My corresponding goal in lockstep was to strike the harmonious balance of the optimum idea with the minimum amount of effort. I also resented the idea that the decorated cakes did not have to be made of edible ingredients, essentially making them arts & crafts projects made out of garbage and not, by most biological classifications, cake. Fondant? More like fondon’t. Wait, actually that zing belongs exclusively to the word “fondu.” Alright, fondant, more like fraud-dant. Thus I made a promise to myself to only utilize natural-occurring food-based ingredients, ultimately electing to work with the Pillsbury company’s “Funfetti” mix. After consulting with a leading team of scientists in the field of oven entropy, these were the results. Note: The raisins pictured were not used in the cake; they originate from my personal collection. When push-time came to shove-time and the public revelation of this concept was imminent, I started to feel highly self-conscious about showing up in front of Iron City aristocracy at this high society gala with this, let’s face it, blatant undermining of everyone else’s hard and, above all else, earnest work. Still, clad warmly in a protective mystical cloak of ironic invulnerability, I marched quasi-proudly into an honest to goodness opera house carrying my Bad News Bearclaw of a confection. I literally faced a tall order ahead of me. If you’ve read Gamechange, the story of the 2008 Obama/Hillary/McCain presidential campaigns, and I have not, you’ll understand how political campaigns are precariously contested, won and lost on the slimmest, most arbitrary of margins. I believe Julianne Moore played Sarah Palin in the book according to one Daily Show interview. Allegedly, my electoral base was the dispassionate husbands who’d been dragged along to the event, assorted men and dudes acceding bemused nods of recognition as they perused the gallery of confection creation. A “Jason Bateman in Juno” type cool husband told me it was his favorite cake in all 10 years and it “had to win.” Not bragging, not mythopoeticizing myself in hyperbolic first-person narration. Just journalism. This is what occurred. I’d braced myself all evening, but there were never any scandalized gasps. People were generally … nice. By the end of it, the professional photographer for the event had frightened me into thinking I was going to win the People’s Choice Award, a rarefied air heretofore only attainable by the television programs and films of Melissa McCarthy. For a fleeting, pipe-dreamt moment, unlike the cakes themselves, I could taste it. But I did not win. That was a disappointing relief. On the one hand, like … obviously. But, still. So tantalizing. And in the back of my mind, I’m left to wonder — did the inner circle of central midwives put their finger on the scale for the people, fabricating the whole ordeal as if it were some sort of the United States’ discovery and assassination of Osama bin Laden? Did they stuff the ballot box (cake box!) against me to crown a more traditional champion, one that would look better and proper when they put the event photos up on socialized media? More photogenic, more enticing for the? Where better to orchestrate something, after all, than the Pittsburgh Opera House? Presumably not. At all. Like, even a little bit. But even accepting a second-place at second-face value, I choose to consider myself a champion. Correction: not me. The cake. The synthesis of a vision, catalyzed by science and magic — that magic known as imagination. 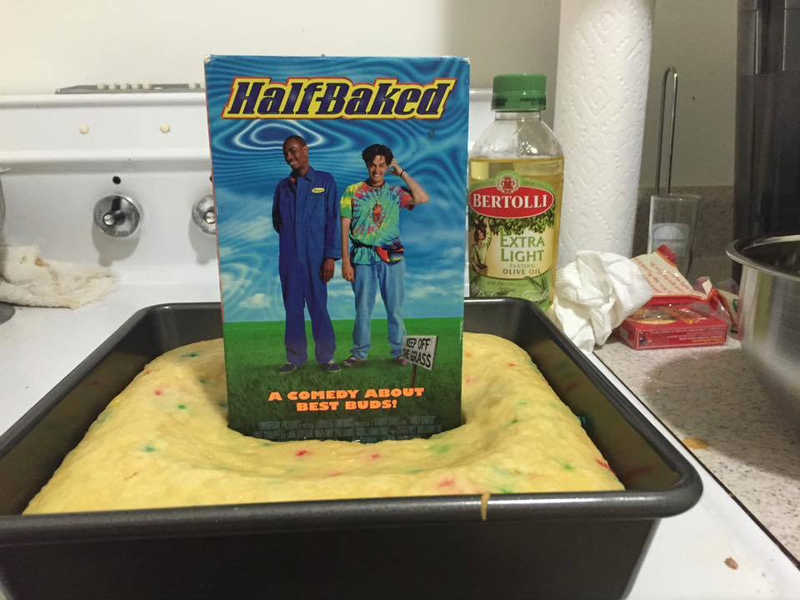 A $2 eBay investment and $3 cake mix. A glowing tribute to Tinseltown and its stars of stage and screen. A cumulative 35 minutes of work. A night among Pittsburgh’s most fertile and elite. Of the people, by the people, and for the people. A champion.